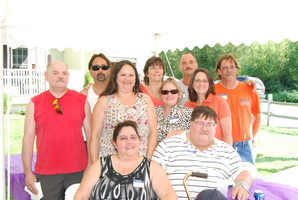 Provide comfort for the family of Francis Rolnick with a meaningful gesture of sympathy. 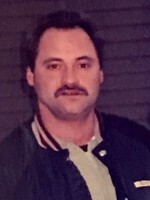 Francis Allan Rolnick, 55 of Clarksburg, MA died Thursday January 24, 2019 at Berkshire Medical Center. He was born in North Adams, MA on June 14, 1963 son of Daniel Frederick Rolnick Sr. and Marion Theresa (Bellard) Rolnick Jones. He attended local schools including Drury High School. Francis was last employed in the landscaping business. He enjoyed fishing and especially enjoyed spending time with his grandchildren. Survivors include one daughter- Krystal Ann Rolnick of Clarksburg and one son- Kyle James Rolnick of Clarksburg and three grandchildren including Lexxus, Robbie, and Mya. He also leaves five sisters- Bonnie Rosbozom, Janice McKay, Deborah Shepherd, Nancy Giorgi and Lillian Mountz and four brothers- Daniel F. Rolnick Jr., Robert Rolnick, Norman Rolnick and Nolan Rolnick and nieces and nephews. FUNERSAL NOTICE: The funeral for Francis Rolnick will be Saturday February 2, 2019 at 11:00 AM at FLYNN & DAGNOLI-MONTAGNA HOME FOR FUNERALS CENTRAL CHAPEL, 74 Marshall St. North Adams, MA. Burial will be in the spring in Southview Cemetery. A calling hour at the funeral home will be Saturday morning from 10-11. Memorial donations may be made to the funeral home in his memory. To add to the Book of Memories, please visit www.flynndagnolifuneralhomes.com. To send flowers in memory of Francis Allan Rolnick, please visit our Heartfelt Sympathies Store. Jim & Helen Boyle sent flowers to the family of Francis Allan Rolnick. "My condolences to the family. "He will swallow up death forever. "(Isaiah 25:8) This comforting promise can help to comfort you as you go through this difficult time. God also promises "those in the memorial tombs will hear his voice and come out. "(John 5:28,29) This gives you the hope of seeing your loved one again. May you find strength through God's Word to keep going." Jim & Helen Boyle purchased flowers for the family of Francis Rolnick.